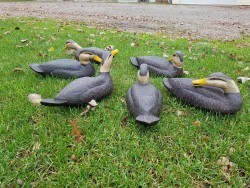 Welcome to the page of Black ducks by JACDUCKS.COM. 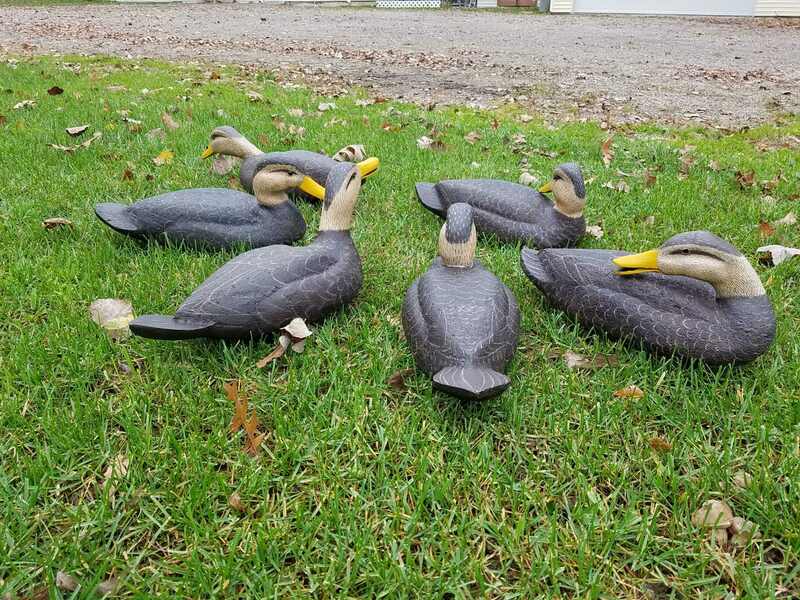 The black duck is the mallard of the east. Ranging roughly east of the Mississippi it replaces the mallard as the most abundant dabbler. Breeding in Canada and migrating through several distinct corridors it winters in greatest abundance on the Atlantic cost line. 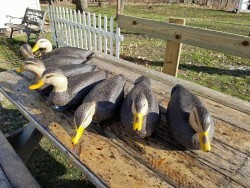 In my home area we do have some breeding blacks and take this very wary waterfowl during season mixed with mallards. It is considered to be a prize in the bag since it is so wary. It similar in most respects in nesting and migration to the mallard. I use blacks as my yard marker decoys keeping them spaced widely and not too many in the spread. All are used and the decision is made by how the body feels in my hands.